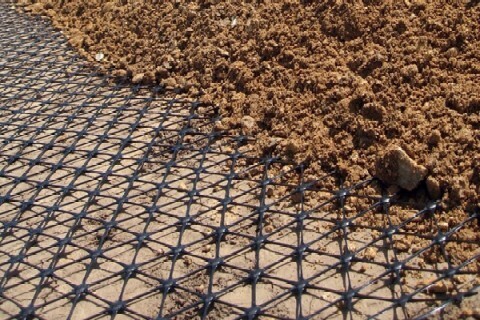 Tensar® TriAx® Geogrid is an advanced product specifically designed for trafficked surfaces. TriAx Geogrid’s multi-directional properties leverage triangular geometry, one of construction’s most stable and widely utilized shapes, to provide an enhanced level of in-plane stiffness.The result is a stronger, yet not brittle, pavement that's more economical, better performing, more durable and predictable - as proven with more than 375 million square meters of installations to date - or the equivalent of over 50,000 lane miles. That's enough to support a two lane highway around the circumference of the earth!